Grateful to be back painting with my portrait group for Day 5 of my daily painting. We have a small group who paint together every week and share the costs of a model. It’s my favorite thing to do!! I love painting people from life! First of all I love people and then of course I love to paint, so it’s the perfect combo. So this is my daily painting for Day 5 of the Strada Easel Challenge and the 30 in 30 challenge. See you tomorrow!!! 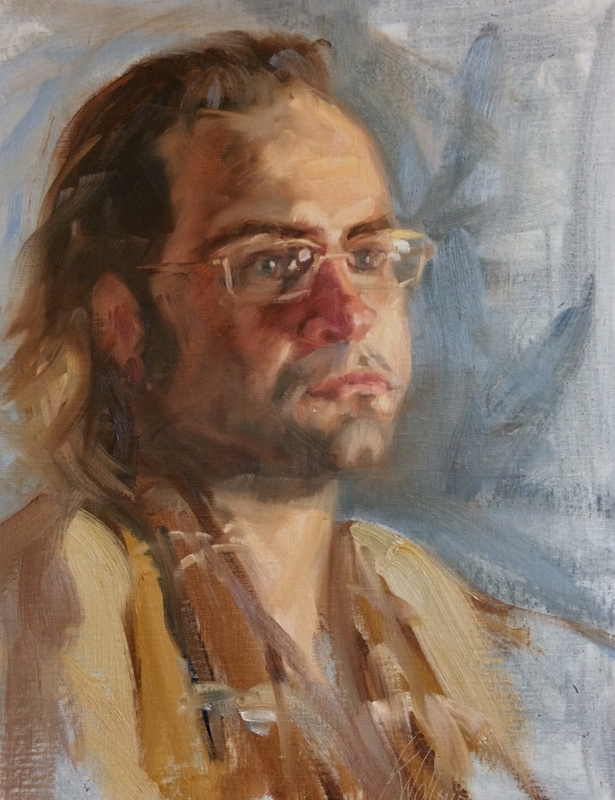 This entry was posted in 30 in 30 Daily Paintings, Painting People, Strada Easel Challenge and tagged 30 in 30, Charlotte nc, daily painting, Getting a likeness, oil portraits, painting from life, painting people, strada easel on January 5, 2017 by Robin Wellner.